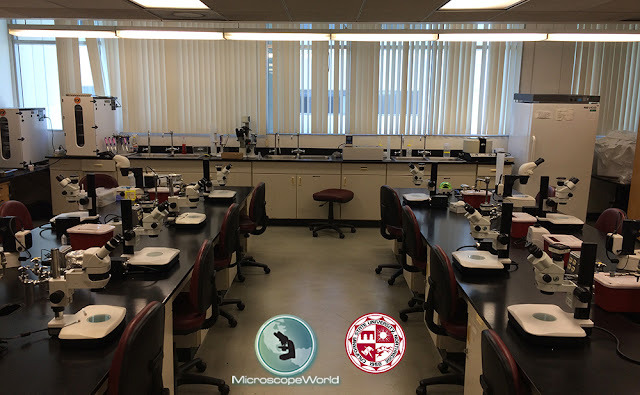 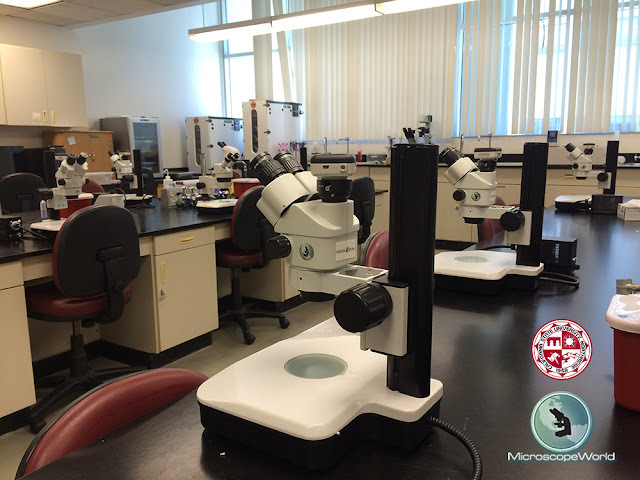 Microscope World recently helped Cal State University Northridge outfit their biology lab with new microscopes. The lab was outfitted with Richter Optica S6 stereo zoom microscopes with WiFi wireless cameras. 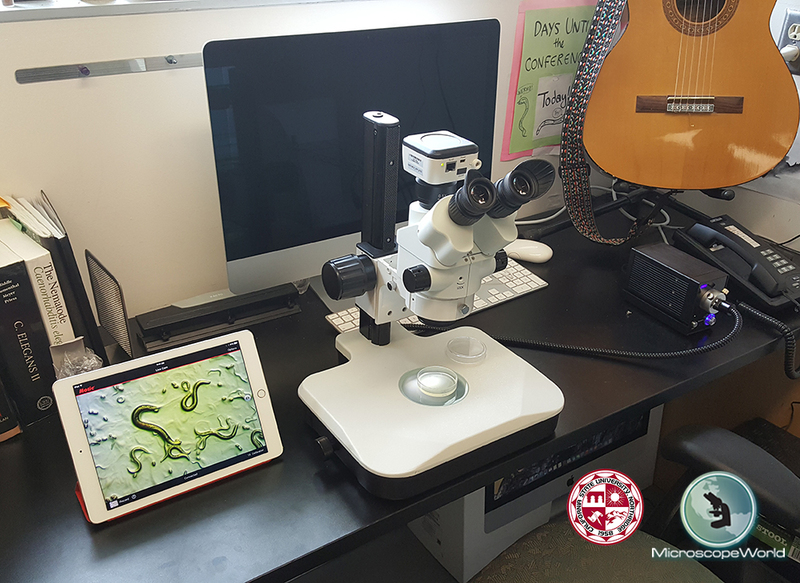 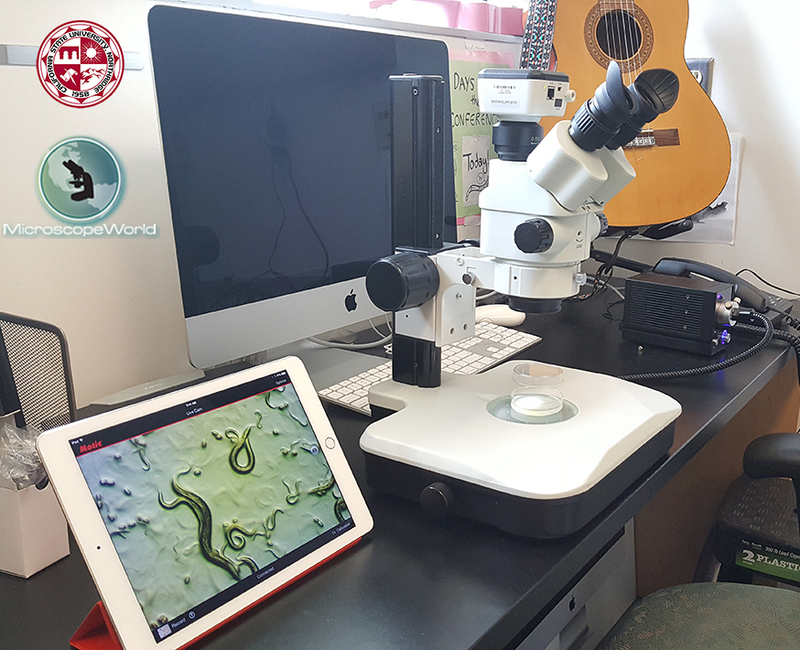 The dissection microscopes were used to project images of C. Elegans on the tablet from the WiFi camera. Lab microscope setup with Moticam WiFi microscopy camera. For questions regarding this lab microscope setup or custom lab solutions contact Microscope World.